SANTA FE - In light of the recent state of emergency declared in the Washington state after a measles outbreak, the New Mexico Department of Health (NMDOH) is strongly encouraging parents to vaccinate their children. 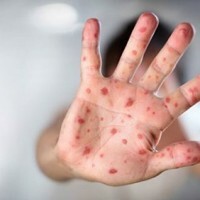 Measles, like many communicable diseases, is highly contagious and can overwhelm a person’s immune system, resulting in sickness and, in some cases, death. Measles is so contagious that if one person has it, 90% of the people close to that person who are not immune, will also become infected. Over the last seven years, New Mexico has seen a steady increase in the number of children who are not fully vaccinated. Since 2012 in New Mexico, there has been a 60% increase in the rate of people exempting from recommended vaccinations. In 2018, 4,441 school-aged children had an exemption for vaccination filed with the Department of Health, an increase from 4,346 children in 2017. According to the Centers for Disease Control and Prevention, as many as one out of every 20 children with measles, gets pneumonia, about one child out of every 1,000 will develop encephalitis (swelling of the brain), and for every 1,000 children who get measles, one or two will die from it. The NMDOH recommends that all children without medical exceptions receive two doses of the measles, mumps and rubella (MMR) vaccine. The first dose of the vaccine is usually given between 12 and 15 months of age, and the second dose is recommended at four through six years of age. Measles typically begins with high fever, cough, runny nose and red, watery eyes. Three to five days after symptoms begin, a rash breaks out. It usually begins as flat red spots that appear on the face at the hairline and spread downward to the neck, trunk, arms, legs, and feet. Small raised bumps may also appear on top of the flat red spots. The spots may become joined together as they spread from the head to the rest of the body. When the rash appears, a person’s fever may spike to more than 104° Fahrenheit. 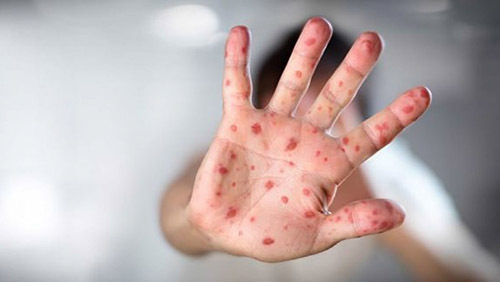 Infected people can spread measles to others from four days before through four days after the rash appears. If you think you or your family member may have measles, please call the New Mexico Department of Health at 505-827-0006.